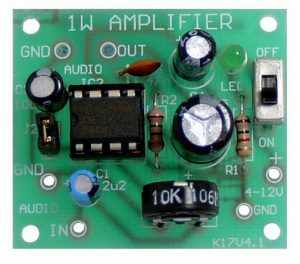 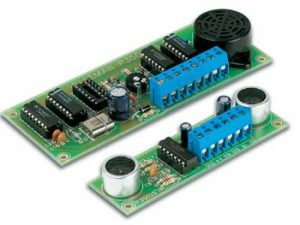 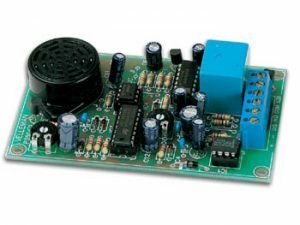 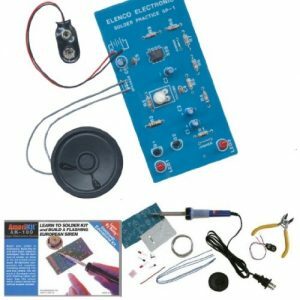 Encoded Stepper Motor Controller Kit – CK1402. 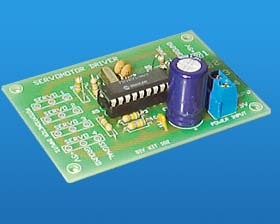 Soldering required. 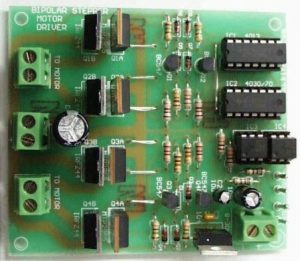 This circuit illustrates the complex operations that can go on inside modern dedicated integrated circuits. 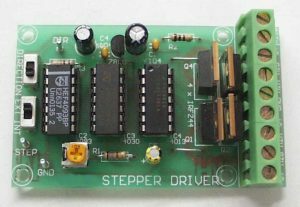 The circuit uses a bi-directional digital rotary encoder to step a unipolar stepper motor. 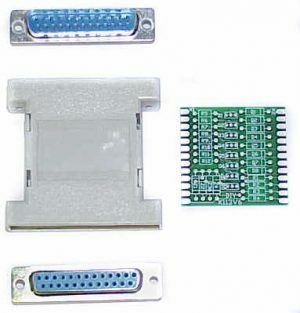 L: 2-1/4″ W: 1-3/4″ H: 1″. 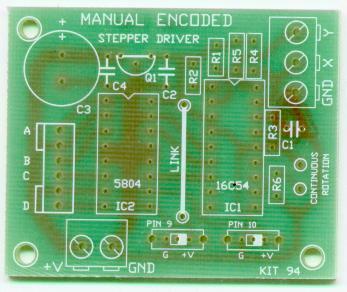 Uses a PIC16C54 plus UCN5804 stepper driver IC.